BVI Spring Regatta and Sailing Festival 2013 video- The first day of serious racing as the fleet saw some challenging conditions in the Sir Francis Drake Channel. Match racing in Bermuda for The King Edward VII Gold Cup is recognized as one of the classic heritage events on the Alpari World Match Racing Tour. The 11th annual Renaissance Re Jr Gold Cup will also be sailed October 10-13 in Bermuda. AC45s Thrill Crowds video - This week on America's Cup Discovered we take a look back on a momentous 2012 on the America's Cup World Series tour. The AC72s hit the water, and the AC45s thrilled the crowds. Try Sailing for FREE at Trent Valley SC! With a vibrant summer sailing programme set to bring thousands of people to the city, the Class 40 World Championships has become the latest sailing event to bring some of the world's best yachtsmen to race on our shores, Rebecca Ricks reports. From Nanny Cay Marina, Tortola, 150 boats compete across three courses. America's Cup video - Nathan Outteridge on mods and recon - AC UNCUT's Genny Tulloch has a chat with Artemis Racing's helmsman Nathan Outteridge to talk about recent mods and recon. Recently Artemis Racing took a big step forward for as they launched their foiling AC45 onto the San Francisco Bay. This is the first step in foiling training for their second AC72. Nathan shares insider spy stories with Genny . . .
After writing about fun things I wanted to do in New Orleans, I was invited to fulfill my dream of sailing on Lake Pontchartrain by Lynn Long from the Leukemia Cup Regatta. The Leukemia Cup happened March 23-24, 2013, at the Southern Yacht Club. America’s Cup Sets Carbon Neutral Target · Environmental Management & Energy News · Environmental Leader: " . . . This summer’s San Francisco race will be the first in the America’s Cup history to have an official carbon credit supplier, according to the America’s Cup Event Authority. In addition to providing carbon credits with links to marine benefits and sailing, Offsetters will also manage the America’s Cup Sustainability Credit program. Each America’s Cup Sustainability Credit is comprised of a carbon credit equivalent to removing 1 metric ton of greenhouse gas emissions from the atmosphere, and a cash donation to a restoration project in San Francisco Bay. The America’s Cup says all carbon credits will be sourced from high-quality projects, designed to meet or exceed the highest international standard for carbon accounting and offsetting. The race’s other sustainability strategies include diverting materials away from landfill, sourcing local and sustainable food, and reducing emissions from transportation. Event organizers say a carbon management strategy is being implemented to measure the event carbon footprint and reduce America’s Cup emissions as well as those associated with event activities in San Francisco. They did not provide an estimated carbon footprint. . . ."
Design Review Board February 26, 2013 Agenda Package. Plans for the proposed rowing and sailing center on Hilton Head Island's Squire Pope Road include a 1,400 square foot picnic pavillion, fenced boat storage, a floating dock and restrooms. Mayo Sailing Club was founded in 1976, and Rory, who lives in Castlebar, has been sailing with the club since he was in his teens. While life's currents led him to drift away from sport for a while, he's been back chasing waves for around ten years now. The Sailing for Cancer Cures program is now open, allowing novice sailors to learn the sport while raising funds for the Leukemia and Lymphoma Society. ETNZ: A Different Kind of Pre Start - Emirates Team New Zealand tactician Ray Davies explains the big difference in the pre start and weather information required in the new America's Cup form of AC72 racing. James Spithill on Oracle Team USA AC72 modifications - AC UNCUT's Genny Tulloch catches up with Oracle Team USA skipper James Spithill six months after their AC72 capsize. James talks the psychological benefit of going through the capsize, and how he believes Oracle Team USA is stronger than ever because of it. Is Team New Zealand sailing away with our money? | Stuff.co.nz: " . . . The America's Cup will be held in San Francisco in September and it is likely to be New Zealand's last chance to win back the cup. Dalton said in a television interview in February that the event had become "ridiculously out of control, expensive" and that "billionaires' egos" were being allowed to set the criteria. Green Party co-leader Russel Norman said the Government's oversight of the money was "disgraceful" and "extraordinary" and it had failed to implement basic accountability measures for the use of $36m of taxpayer money. He was scathing of the year-long gap in providing information. "On the face of it, it's a clear breach of the agreement. I think we can say Government was asleep at the tiller." . . . "
A new championship for a growing discipline within European sailing. Laser sailboat competitors blow off the starting line during the Hawaii Youth Sailing Association No. 2 regatta in Kaneohe Bay, Saturday. Sailors navigated a triangular course defined by three buoys. Competitors ranged from ages eight to 20 on a windy day. Less than two weeks after a sailor died after the six-person crew of a 32-foot sailboat abandoned their crippled vessel before it broke apart during a California race, US Sailing said it will conduct an independent review of the accident. The Yachting World Round Antigua Race - cruisers and classics as well as sportier vessels. Since 1826, the largest regatta of its kind in the world - 1,000 boats and 100,000 spectators. Australia's largest offshore keelboat regatta - vessels include sportsboats to "supermaxi" yachts. The fastest boats and best sailors compete as the defender, Oracle Racing, meets the winner of this summer’s Vuitton Cup. 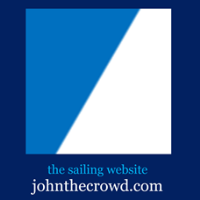 Nantucket sailing events, awards ceremonies and parties. In its 66th year, 1000 competitors take part in races held at Craobh, Oban and Tobermory. Luna Rossa video: Goodbye, Auckland, and thank you! Sailing for Cancer Cures program set to start at Seattle Sailing Club. ORACLE TEAM USA crew - what it's like to fly their AC72 "17" on foils, sometimes at speeds of over 40 knots, and experience the sensational acceleration from onboard. Ambassador program launched for America's Cup. The Artemis Racing team, which will be competing in the America's Cup races later this year, toured the Bay Model to learn more about the vagaries of the San Francisco Bay upon which they will be sailing. Portsmouth, R.I. (March 20, 2013) – Thirty-eight talented sailors have been named to the 2013 US Sailing Development Team (USSDT), the pathway team supported by the U.S. Olympic Sailing Program and US Sailing's Olympic Sailing Committee (OSC). America's Cup Rental Market Makes Us Seasick: SFist: " . . . Sources tell us that sailing enthusiasts will be flocking to town come summer for the culmination of the American's Cup contest that's been on the minds/lips/hearts of every able-bodied local seaman for ... what already feels like a really long time. And they'll need a place to rest their heads after a long day of watching world-class catamarans do whatever they do. . . . "
A fleet of nine crews is expected when the America's Cup World Series returns to the waters off Naples, Italy, April 16-21. Entries have been received from series leader ORACLE TEAM USA, second-placed Luna Rossa, third-placed Artemis Racing, Emirates Team New Zealand, J.P. Morgan BAR, Energy Team and China Team. A ninth crew is expected to be announced later this week. Last year's AC World Series Naples drew crowds estimated at 500,000, who were there in part to catch the debut of Luna Rossa Challenge 2013. Chris Draper led his Luna Rossa Piranha crew to a thrilling win in the final fleet race. The victory kicked off celebrations among the tens of thousands of Italian America's Cup fans lining the Naples waterfront to catch a glimpse of their heroes. Sailing the Greek islands must be the best job in the world, unless you're responsible for a bunch of drunken Aussies and Kiwis. IRC Division two in the 2013 XXXX Sail Paradise Regatta was won by Brisbane's Blunderbuss, skippered by Tony Kinsman, this was no easy defeat by Southport Yacht Club vessel Alacrity, skippered by SYC's Vice Commodore of Sail, Matthew Percy. Sperry Top-Sider San Diego NOOD | Sailing World: "Light winds and signficant shifts tested the patience of sailors in all fleets at the San Diego NOOD, with the second day of racing putting a premium on good starts and conservative strategies." Spread the NOODs: Major Regatta Fights Weak Winds but Prevails - Encinitas, CA Patch: "Three local yacht clubs serve as host venues for the annual event—San Diego, Mission Bay and Coronado. Each location will have free viewing areas for spectators between 10 a.m. and 4 p.m. Sunday. Encinitas owner/skippers entered were: Ed Machado’s J Hawk (J105 yacht class) David Cheresh’s Troublemaker (J105 yacht class) Paul and Julie McPherson’s Niuhi (FT10 class) Brad Ruetenik’s Astragulus (I14 class) Gary Geisler’s Shibumi (Buccaneer 18 class) Sailors competed in a series of races, accumulating points based on placement in each individual race. The boat finishing with the fewest total points will be declared the winner of its class. Race officials will determine the regatta’s overall winner, based on the strongest finish in its most competitive class. The overall winner in San Diego—the second of seven races—will be invited to the Sperry Top-Sider NOOD Championship Regatta in the British Virgin Islands at the end of the season to compete aboard Sunsail 44i’s against the other overall winners in the 2013 series." 7. Groovederci, John Demourkas, Santa Barbara, USA, 51"
Aerial view of ORACLE TEAM USA '17' training in San Francisco Bay in February 2013. Living aboard a 100-foot boat, exploring a mostly uninhabited region spread out over 250 miles in the Andaman Sea.